As always, AccuWeather has comprehensive coverage on the storm. Below is a quick look at this major, long-duration winter storm. 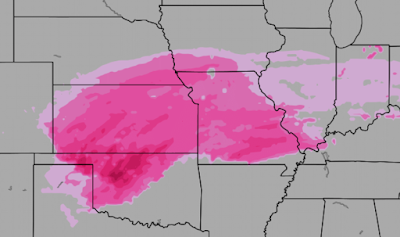 Let's begin with ice storm timing. This is via Twitter and @severestudios. 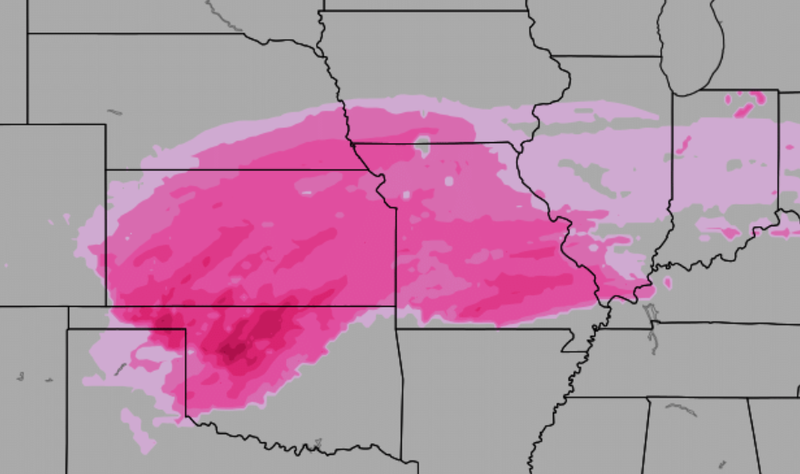 Below are ice accumulation forecast maps (thanks, Dr. Ryan Maue!) that correspond to my thinking about the storm. The first map is as of 6am Saturday (take each stated time as an approximation). 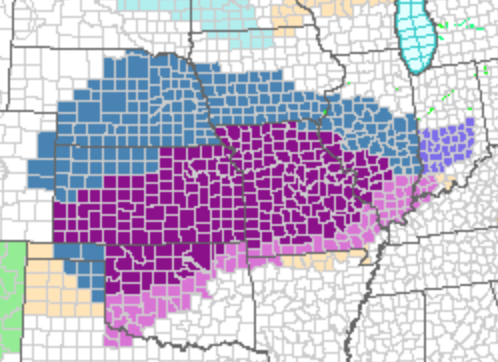 Very slippery to impassible roads will exist from the Missouri Ozarks and across Oklahoma north of I-44. It is important to remember there is relatively little road clearing equipment in southern Oklahoma and roads in that region can be extremely hazardous. Below is the forecast for 6am Sunday. The forecast for 6am Monday. 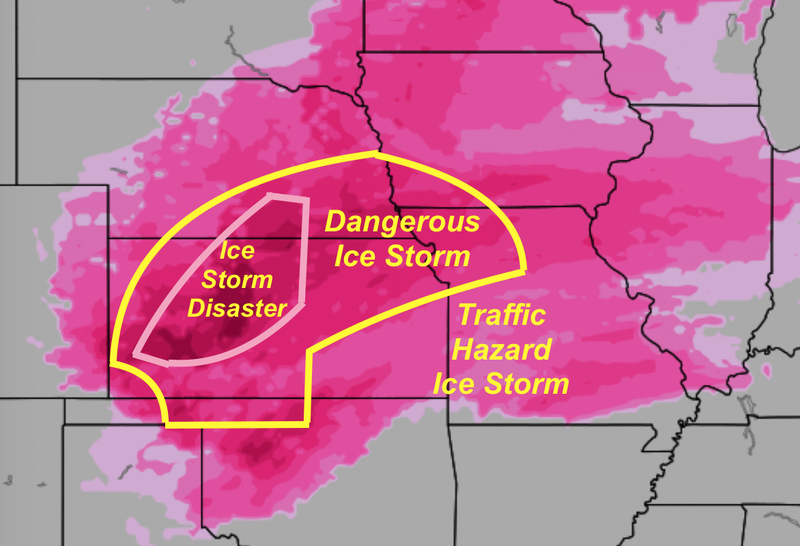 Heavy icing is force indicated by the darkest colors. The above maps show the amount of freezing rain forecast to fall. It does not include melting as temperatures over the southern part of the region get just above freezing at times Friday and Saturday and then well above freezing Monday. Where I call it "dangerous" there will be impassible roads in some areas and there will be power failures in some areas. Where I call it "disaster" many roads will be impassible, perhaps for days. There will be widespread power outages, perhaps for more than a week. It will be vital to prepare accordingly. Making sure critical prescriptions are filled. If you have a generator, make sure you have fuel. If you think you need a generator, now is a good time even if this storm does not pan out but get on that right away. Consider a "inverter" to keep phone charged, computer charged, and, with a large inverter, maybe an appliance or two. 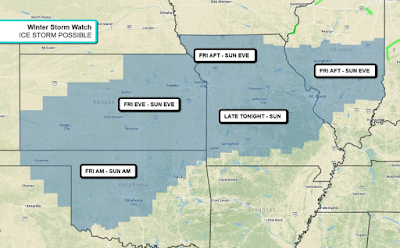 Beginning Sunday night, heavy snow will be a factor. 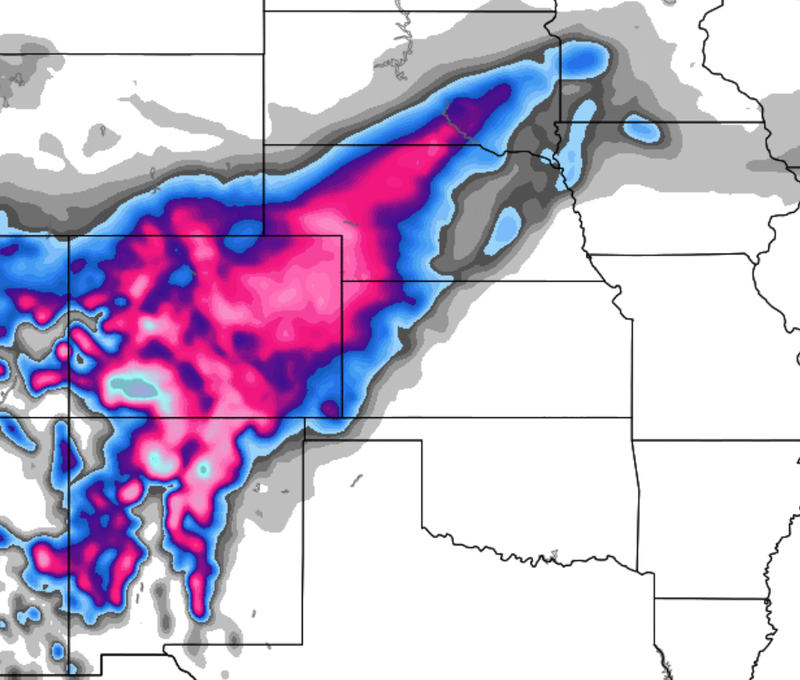 I-80, I-76, I-70 and I-25 are all going to be difficult travel. 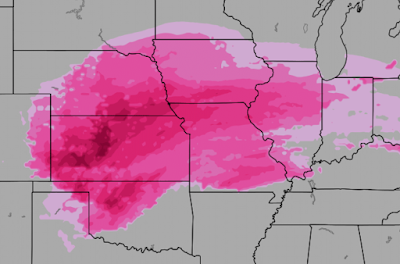 Ice storm warnings are being issued for a large area of the Great Plains. I'll have a map up when that process is completed. Here's the latest watch/warning map. 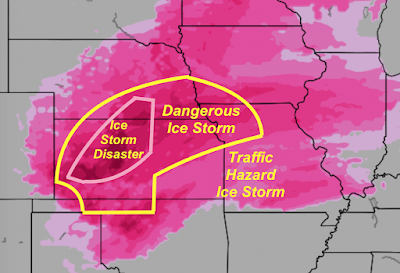 Deep purple is an ice storm warning (the most serious condition). Light purple is a freezing rain advisory (a lesser condition). 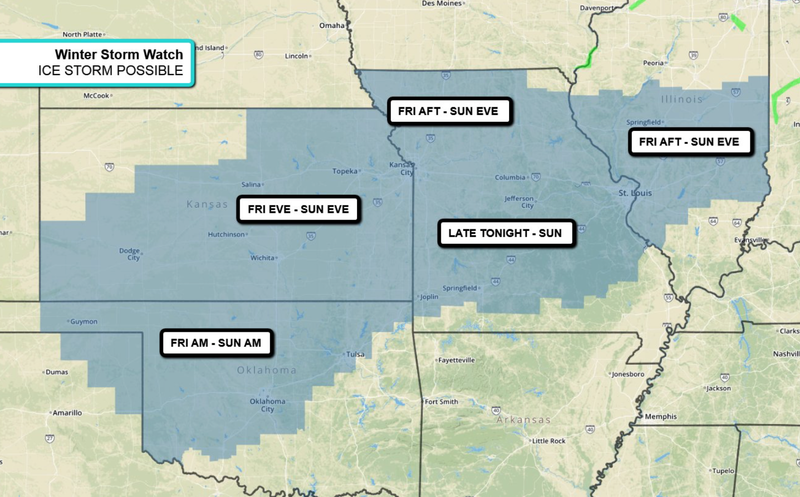 The deep green is a winter storm watch (meaning winter weather is possible). 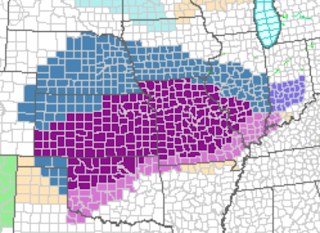 The blue in Indiana is a winter weather advisory. The least serious condition.